Tiffany posing with her bike at the CCS racing school. 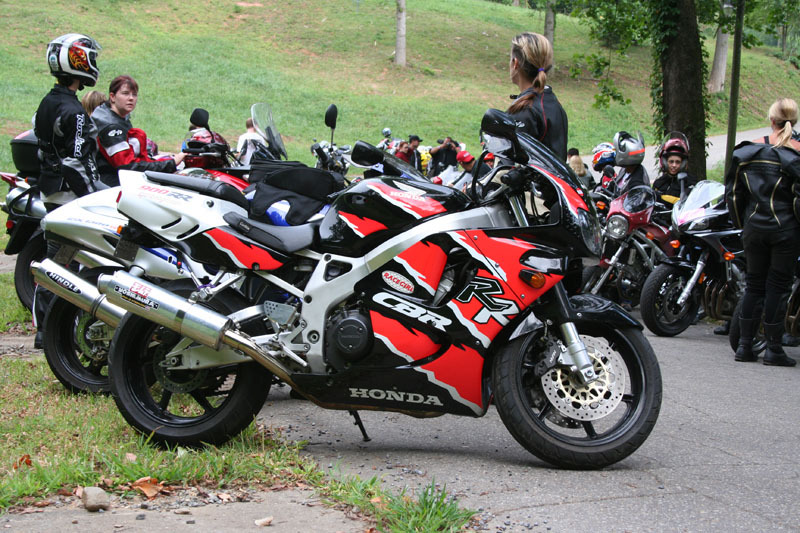 The internet boom in the late 1990’s and early 2000’s created a new world for riders through the birth of online motorcycle communities (message boards/forums). A young girl named Tiffany Weirbach was one of the very first to use the power of the internet to spread her message of what it is like to be a female sportbike rider. 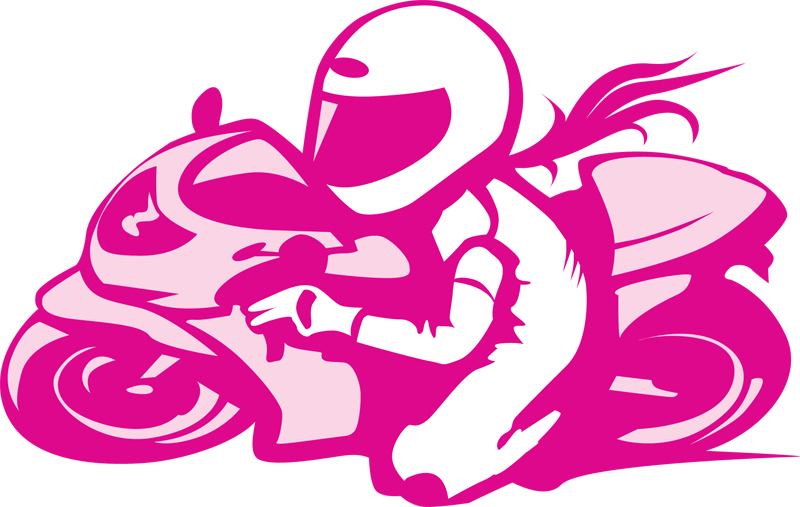 She became known all across the world as “sportbikegirl.” She created a popular website, sportbikegirl.com, that highlighted her love of sportbike riding. 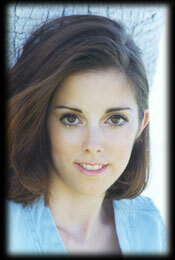 In January 1999 at age 21, Tiffany was diagnosed with Stage III Malignant Melanoma, the deadliest of all skin cancers. Instead of letting it get her down, she used her very popular website and the message boards she frequented to share with the world her fight for survival and bring awareness to the terrible disease. Sadly, she succumbed to Melanoma after a two and-a-half year battle at age 24. To honor her memory, her parents, Judd and Faye Weirbach, founded Tiffany’s Melanoma Foundation. Tiffany riding in Las Vegas. Two years after Tiffany’s passing, rally co-founder, Stephani McIntyre, then 26, was diagnosed with Melanoma. Through early detection, it was found at an early enough stage to be successfully removed. She believes riding motorcycles helped save her life. Read her story here. A few years later, our official sportbikegirl logo designers, Corey and Casey Wilkinson, lost their father to Melanoma. In 2006, the Wilkinson Brothers graciously donated their time to creating our amazing logo. Sadly, they lost their father a few years later to Melanoma. Even if you are not a sunbather, Melanoma can come after you. It is a disease that does not care who you are. Tiffany’s parents drove from Oregon to bring her bike to the 2007 rally.